It’s unclear if there is much of an appetite for French-Belgian horror movies about cannibalism, but the upcoming release of Raw will at least ensure that audiences won’t have much of an appetite for anything else after witnessing this gruesome piece of work. 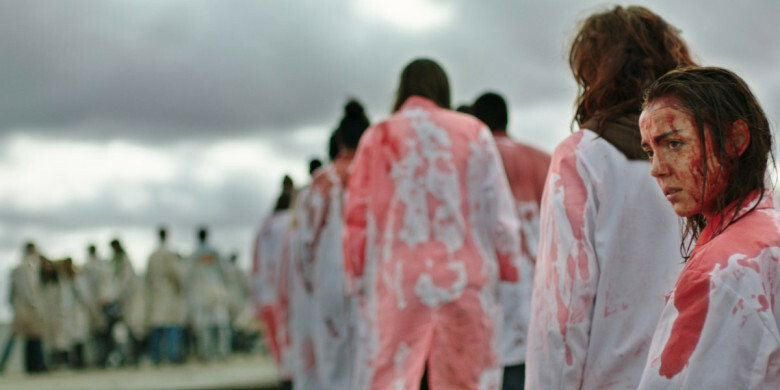 Raw follows Justine, a veterinary school student and lifelong vegetarian, who is forced to eat meat for the first time in an initiation prank. This sort-of-Proustian moment unlocks Justine’s desire for a more refined taste in meat, specifically human flesh. The film opened last year at the Cannes Film Festival, before moving on to Toronto where, during a screening at its Midnight Madness slot, two people fainted and had to be hospitalised. It’s unclear how UK audiences will react to the gore and David Cronenberg influenced body horror. In a recent interview, Ducournau bemoaned the sensationalist coverage of the film and insisted that it wasn’t even a horror film. In any case, it will likely be marketed as one. But isn’t it exciting that a film with such an extreme reaction is also a film of interesting ideas, complex characters and thought-provoking concepts? Hopefully the buzz that has been drummed up will entice film-goers to watch this artsy foreign language flick.